My friend Sjaak Griffioen from the Netherlands created ManyMoves - an interesting puzzle app that is free for the iphone & ipad. 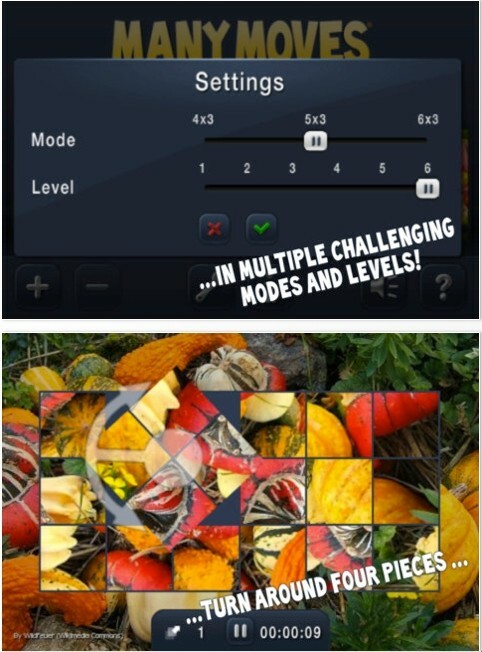 At first, I thought it was similar to some other puzzle apps: slide the rows & columns to make a pattern. That's been done at least 10 other times. 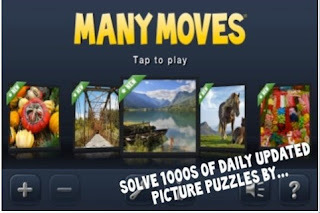 However, ManyMoves gets much harder. 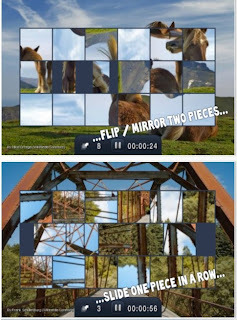 Tap on the edge of 2 neighboring pieces and they stay in place, but flip 180 degrees. Tap on the corner intersection of 4 pieces and they rotate. I have played ManyMoves at the easy level - it's easy. At the hard level - I got stuck with 3 pieces that had to be flipped, rotated and swapped. Crazy hard! ManyMoves is definitely worth downloading.